Make sure you are taking the best care of your wool carpet. Wool carpets are beautiful and can be very valuable. Here at Delta Chem-Dry, we understand how much effort goes into providing the proper care for wool carpets. Try as you might, at some point it is likely that you will get spots or spills on your wool carpets. Accidental spills happen. It’s always a good idea to have a plan in place for when they do. Call Delta Chem-Dry now if you need quick, effective wool carpet cleaning. Get ahead of spots and stains. Place absorbent mats at the most frequently used entrances to your home. Be sure to clean the mats when these mats become dirty. It is also a great idea to frequently change filters in your heating and air conditioning systems in order to keep dust particles out of the air. Maintain a routine vacuuming schedule. An upright vacuum with a beater bar/brush is the best type for cut pile carpet. 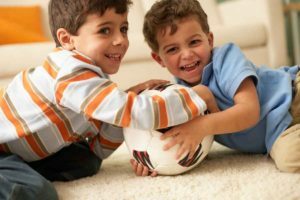 A suction-only vacuum may be required for loop pile Berber carpets to prevent excessive fuzzing. We recommend emptying the vacuum cleaner dust bag when half full – or half empty depending on how you look at it ;). Pay special attentions to the traffic lanes and the areas in front of frequently used chairs. These areas may require more frequent cleaning. You may start to see faint dirt build-up. Have these areas cleaned before they get worse and settle in forever. Always save a few paper towels along with cleaning solutions to quickly handle everyday spills and accidents. DO NOT apply stain repellent treatments which contain any silicone as they tend to accelerate carpet soiling. (Some carpet manufacturers do not accept responsibility for complaints where such treatments have been used.) When having your wool carpet professionally cleaned by Chem-Dry, ask about our Wool Safe® products.